I came up with this new series "5 Things" to get my creative juices flowing. I think this is going to be fun! Sometimes there are too many rules in this world. With this series, the only rule is to post about anything under the sun in groups of FIVE! It can be about anything that your heart desires. It means the possibilities are endless -- 5 books that you read or want to read, 5 things that you love (or hate) about your city, 5 things you wish you can accomplish before the end of the 2017, Your 5 favorite people, 5 things in life that you are grateful for, 5 etc. etc! Here are colorful photos on my Samsung 8 Edge. Now these pictures are part of a display gallery and will no longer be lost in my phone storage universe. 1. 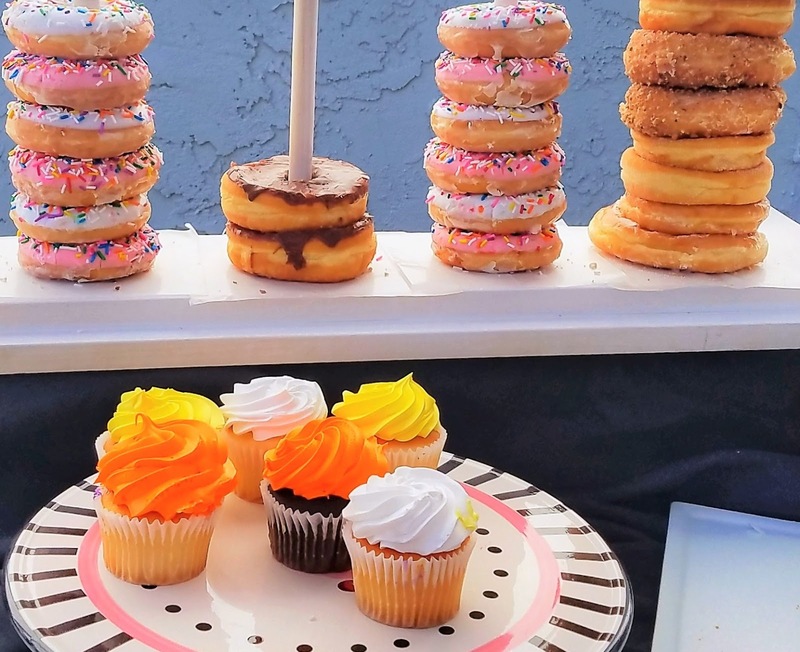 Fabulous DIY donut display rack that my sister-in-law and I fell in love with after church last Sunday. Now we are really obsessed about owning one -- if only we can convince our friend to make this for us! 2. 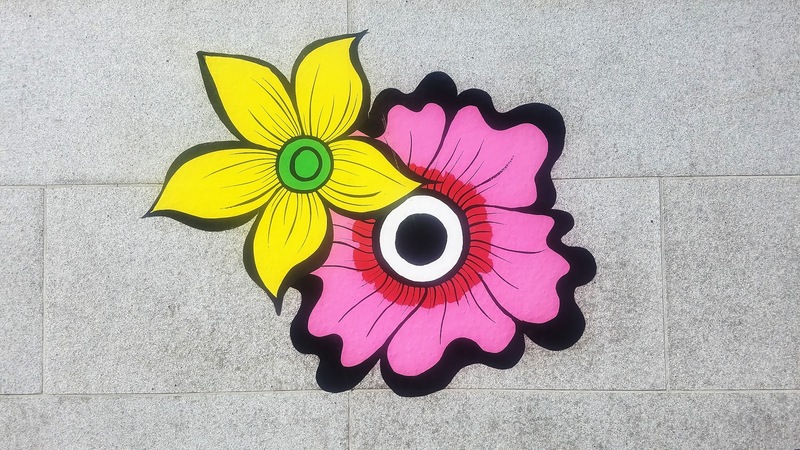 Summer of Love Flower Art at the Asian Art Museum Wall in San Francisco in commemoration of the 50th Anniversary of Summer of Love. 3. 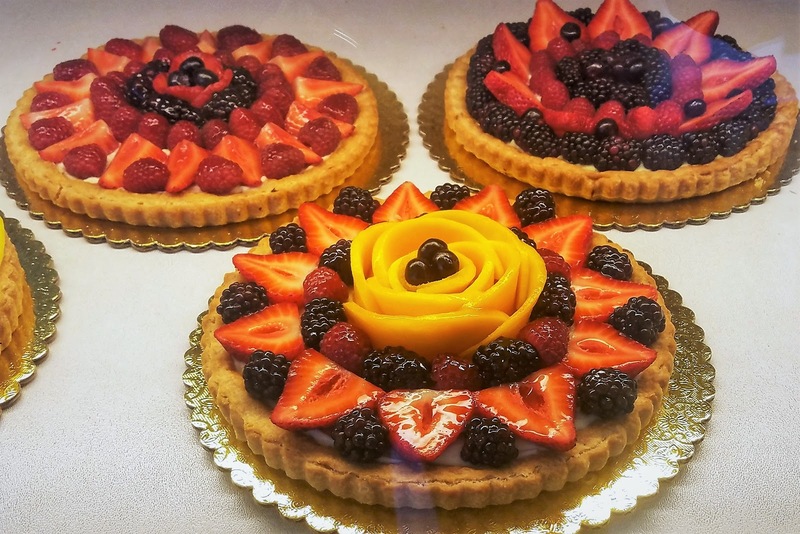 Fruit tarts on display at La Farine Bakeshop on Piedmont Avenue. I was drooling at these tarts on Sunday as I took at little stroll in my neighborhood in North Oakland. Note to self: Buy and devour someday. 4. 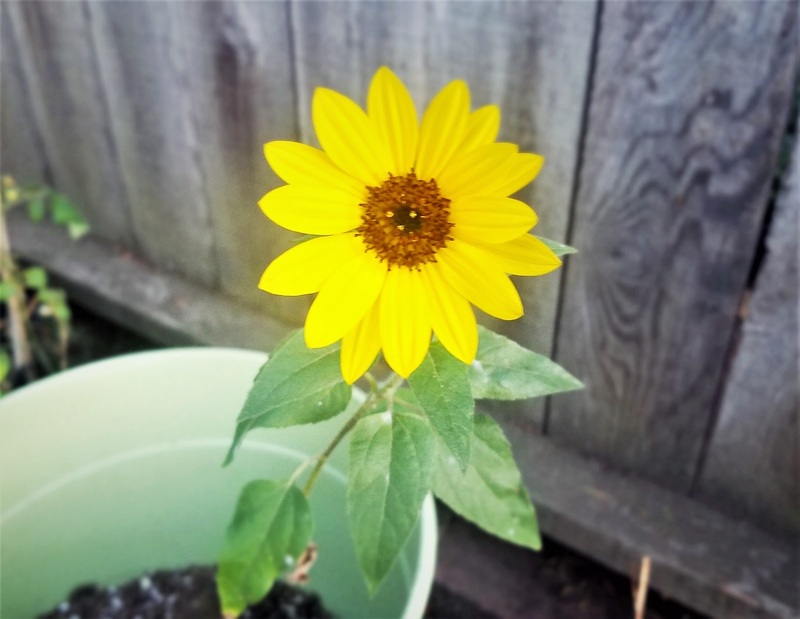 The only sunflower that bloomed from a packet of seeds that I planted this summer. Thank you, little sunflower for peeking out your little head to smile at me! 5. 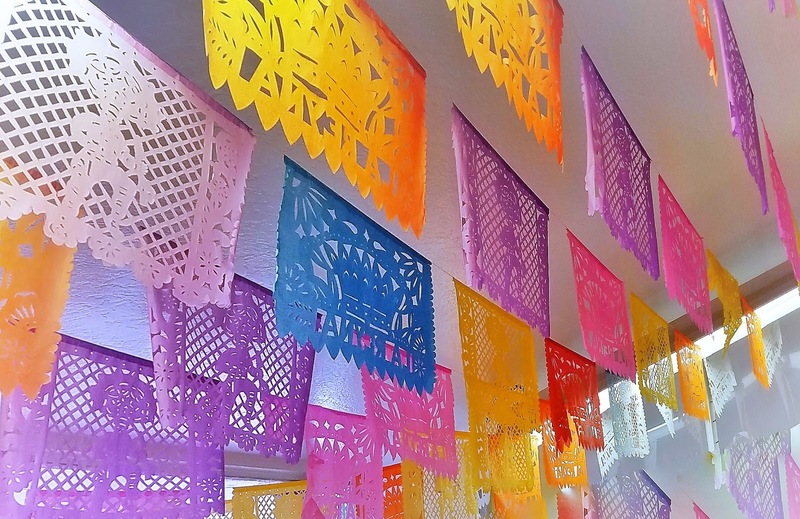 Colorful papel picado (paper cutouts) at a panaderia in the Mission in San Francisco where I bought delicious pan dulce (Mexican pastries). What are your favorite photos on your phone? Ughh those fruit tarts look delicious! I'm drooling. :O It's my first time on your blog and I really love it!